Willoughby is jealous of his wife's relationship with the new gardener. But who is the mysterious man and how does a faithful wife's relationship with him lead to murder? 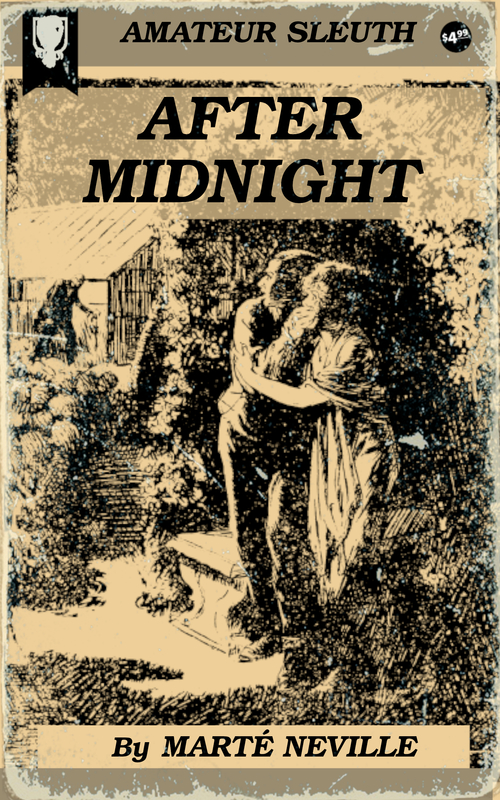 “Good night, Mr. Lannen,” Louis Willoughby extended her hand. She gathered the folds of an embroidered chiffon gown about her and slowly mounted the stairs. Lannen stood leaning against the newel post and watched her ascend. As he turned away, he faced his host. The cold metallic glitter in the older man’s black eyes gave him a strange uncomfortable feeling. A slow smile crept about the drawn lips of the physician. It did not extend to his eyes, but became lost in the heavy mustache and Van Dyke beard he wore. Lannen again shivered. The snaky glitter in his physician-friend’s eyes fascinated him. He wondered if it could be true; that the woman who had just left him, with purity written on every curve and line of her, could be the wanton thing her husband fancied; that she had so forgotten herself and her social position as to stoop to an intrigue with her gardener. It seemed impossible of Louise Willoughby. Yet many changes had taken place during the three years he had been abroad. He had not known her well before his departure, perhaps he did not know her at all now. “Come up into my laboratory,” Willoughby said suddenly. He closed the windows and switched off all the lights with the exception of one held in a bronze Venus at the foot of the stairs. He broke, and buried his head on his arms he had flung on the table before him. Lannen remembered the brief glimpse he had had of the gardener. A slim tall fellow, little more than a boy, with close cropped dark hair, a pale almost ethereal face, a quiet unassuming manner. Willoughby hit the glass-topped table nervously. As he did so a tiny vial of amber covered liquid fell over, knocking the stopper out of it. A pungent sickish odor filled the room. The doctor gave a startled cry. Flinging a small rubber blanket over the table, he lifted the vial gingerly. He placed the stopper back in it, carefully keeping it away from his face. Then he covered it with the rubber. He had become ashen colored. As though unable to speak, he motioned to Lannen to throw up the windows. “Damn careless of me,” he muttered a moment later. Suddenly he became tense. The glitter in his eyes became more pronounced. He seemed to be listening to something. The warm salt air blowing through the window brought a hint of the distant sea—and something else. “What is it?” Lannen gasped. The quivering of Willoughby’s wide nostrils, the sudden snapping of the glass’s stem intrigued him. A long sort of growl—then a long drawn howl from a dog some place not far off was all Lannen heard. There was another howl, then silence. The color came back to the physician’s face. He smiled apologetically. Lannen stared at him in bewilderment. “I—I thought I heard her come down the stairs. I was listening to hear if he met her!” The man’s tongue seemed to be thick. He spoke with difficulty. “Buck up, old man, buck up!” Lannen gave him a reassuring slap on the shoulder, but at the same time he glanced apprehensively over his shoulder out of the window toward the gardens beyond. Again the long rumbling howl of the dog penetrated the night air. The older man suddenly lurched forward into a chair and began to sob in a broken hearted way. At that moment Lannen fancied he saw a face at the open window, but before he could ascertain whether it was his imagination or not, it had vanished; but to him it seemed he had seen a young pale face with smouldering dark eyes and close cropped hair.